The LEAD Blog offers legal analysis of trending legal issues facing schools and the American education system. Sexual Misconduct in the Workplace: A "Double-Edged Sword"
One paragraph of a recent FOX news story had Matt Lauer terminated for "sexual misconduct." Another paragraph specified "sexual harassment." The phrase "inappropriate sexual behavior" has been in the news lately as well. (Extremely rare that there would ever be "appropriate sexual behavior" in the workplace). Is there a difference between this terminology? Definitely. “Sexual misconduct” can refer to multiple acts or even a single act—depending on the severity or egregiousness. “Sexual harassment" is a type of "sexual misconduct," and there are two different types of sexual harassment that can occur in the workplace. Quid pro quo means "this for that," and involves an authority figure like a manager or some higher-up offering something such as a promotion or pay increase in return for sexual favor(s) or demand(s). Or threatening consequences for not obliging. The other form of sexual harassment is hostile environment in which the unwelcome harassment becomes so frequent, pervasive, or severe—descriptors used by the EEOC and the law—that the work environment becomes "hostile." So why a "double-edged sword?" Well, it is imperative that that the employer properly follows up on, investigates, documents, and addresses allegations of sexual misconduct in the workplace. Failure to do so can have significant ramifications--legal and otherwise. That's one edge of the "sword." The other, however, is not so much in the media. Not so much yet, anyway. That is the fallout that may occur from wrongfully disciplining employees (i.e. without substantiation or basis). 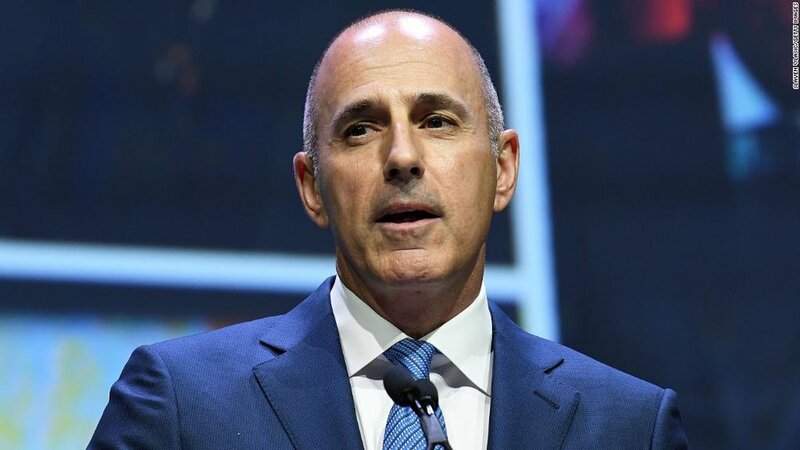 The news briefly reported over this past week that Matt Lauer's attorneys were looking to go after NBC for 30 million bucks for firing him. But that story dissipated when NBC responded citing what they believe to be a rock-solid "morals" clause in their contract with Lauer, and that they didn't intend to give him a dime. Hard to say. But what is currently not in the media are claims by those who may be wrongly accused and wrongly terminated. An employer who mishandles an allegation of sexual misconduct such as sexual harassment may in turn need to defend against any of a number of claims, including wrongful termination, breach of contract, negligence, defamation, and intentional infliction of emotional distress. And not so puny “punitive damages” against an employer may be at play as well. So “en garde!” A sexual misconduct claim can be a double-edged sword that can cut two ways. About the Author: R. V. Stanke, Ed.S, J.D., a licensed attorney, teacher, and school principal, is affiliated with LEAD Legal & Educational Services, LLC. LEAD Legal & Educational Services, LLC provides services to schools and school districts and offers continuing education programs and graduate courses in school law related areas to teachers and school administrators. For more information contact www.leadeducationservices.com).